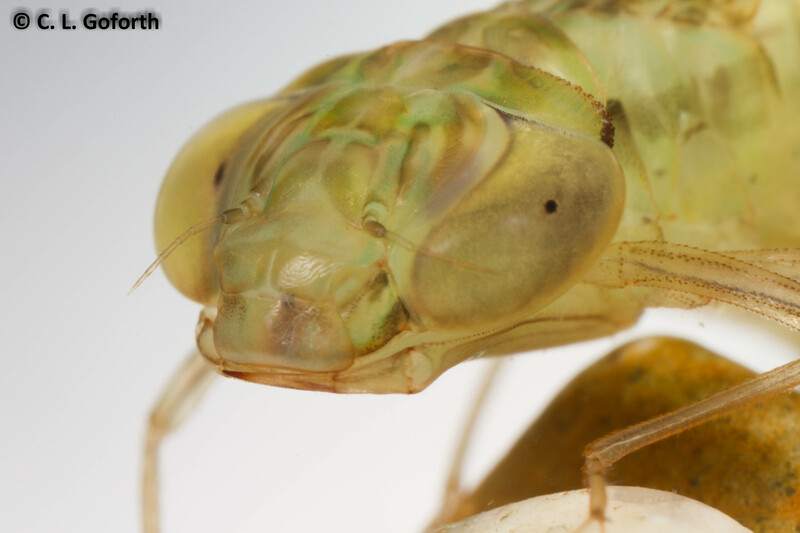 Have you ever taken a good, close look at a dragonfly’s head? Ever notice how they almost always look like they’re smiling? I know I’m going to ruin dragonflies forever for you all by posting this, but I took a photo of a nymph yesterday and was struck by how happy it looked. It got me thinking of the other photos I’ve taken of dragonflies and after looking back through my collection, I’ve noticed a trend. Today I give you five photographs of dragonflies that look like they have huge grins on their faces, just because I felt the need to share this revelation of smiling dragonflies with the world. This one looks happier than a kid on pixie sticks! Just look at that smile. He (or she) is positively grinning from ear to ear! Nevermind that that grin is made up of the grabby parts of the dragonfly mouthparts or that you can see the sharp, chewy bits underneath. 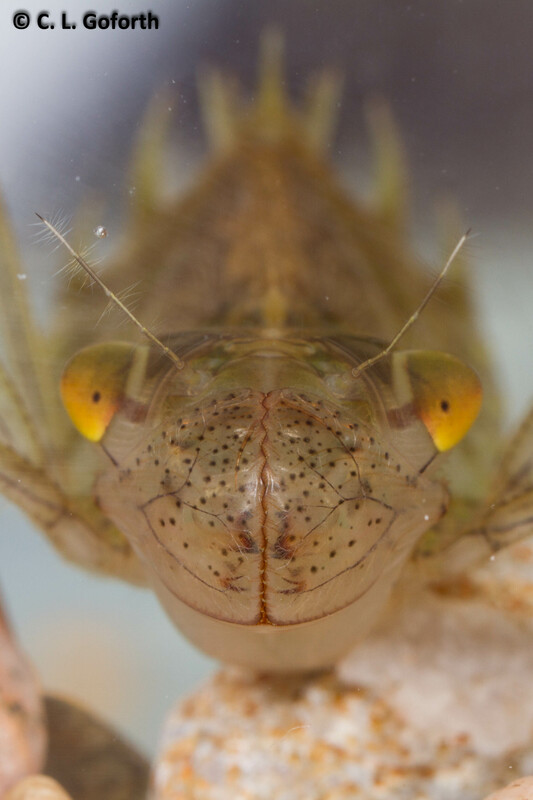 This smile probably strikes fear into the hearts of many insects, small fish, and tadpole – and might be the last thing many of them will ever see! So there you have it, folks. Smiling dragonflies. Who knew? I think this might be part of the reason people are under the impression that dragonflies are “cute” or “girly” insects, why I see them so often on jewelry and silk scarves and purses. They look all cute and happy! But these insects are fierce predators. 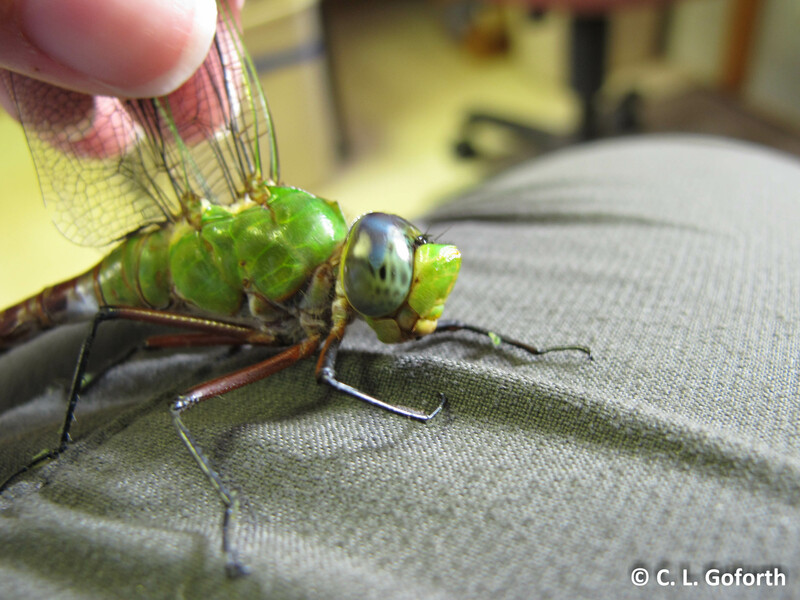 They will happily eat other dragonflies and damselflies if given the chance, along with anything else they can catch and hold onto long enough to eat. 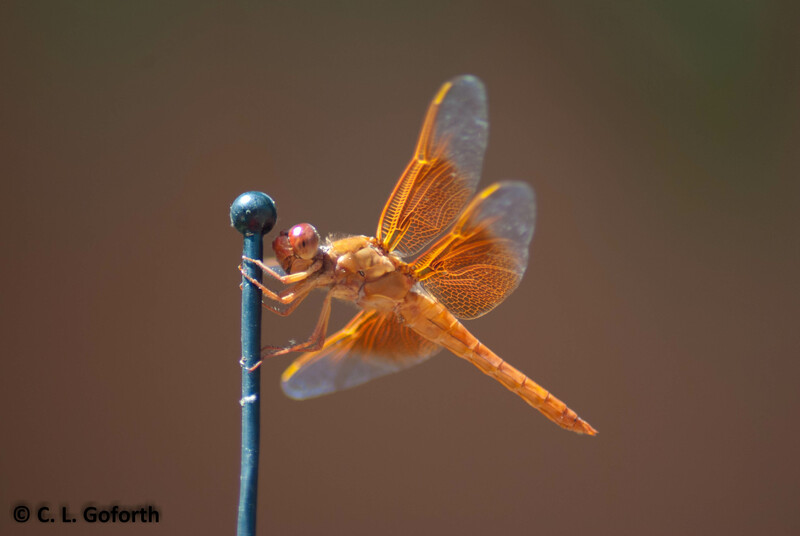 A dragonfly was once recorded taking down a hummingbird – a BIRD! They’re vicious, voracious little hunters, not the little flimsy, fairy-like things so many people seem to think they are. And maybe that’s why they’re smiling. They know they’re completely bad a** – and they don’t care who knows it! Excellent! I’m so glad to hear it. Excellent observations – Your flame skimmer picture is jaw dropping! Thank you! I’ll admit that I’m rather pleased with that one myself. It was pure luck that I got the shot really, but it’s got about the best focus of any dragonfly I’ve ever shot. Plus, it’s a GORGEOUS dragonfly, so there’s that. 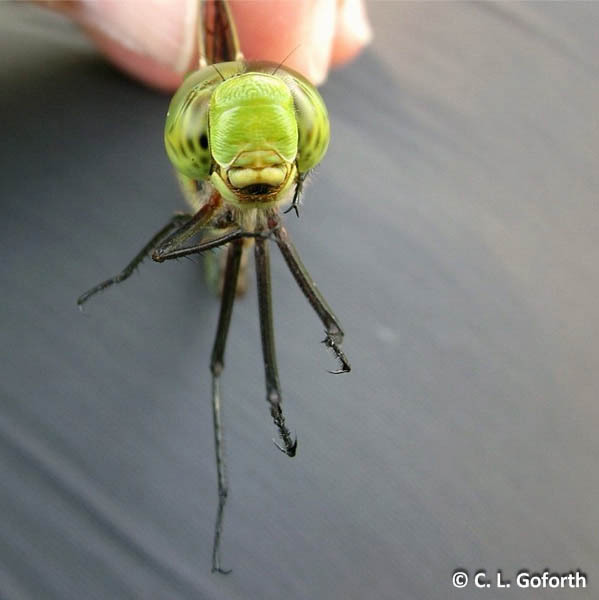 With those giant eyes and the smile, how could you not love dragonflies? Up until this past week, when it finally stayed cold, I was out chasing Autumn Meadowhawks. It looks like the end of the dragonfly season, at least in Northern Virginia, but I am sure I’ll still be posting shots of dragonflies well into the winter as I go through my shots. Ha ha! You might be right! And now I’m smiling, too. your post left a grin on my face! I think they are happy in their own ways. Totally loved the photos of the nymphs.